The Article 13 of the Paris Agreement establishes an “enhanced transparency framework for action and support”. Action implies the activities related to mitigation, adaptation, finance and support provided to developing countries in terms of finance and technology transfer. It further talks of “built-in flexibility” which will take into account different capacities of the Parties, thus, recognising specific needs of developing countries, especially Small Island Developing States (SIDS) and Least Developed Countries (LDCs). It further says that this process shall be non-punitive, non-intrusive and facilitative and respecting national sovereignty. The rules and modalities of the framework are expected to be in place by 2018. Why is transparency framework important? The transparency framework is intended to gain clarity on the progress of actions undertaken by the Parties in terms of mitigation and adaptation. Clarity on adaptation actions would be more relevant, as till now there has been no such mechanism to track adaptation efforts by the Parties. Further, the purpose of the framework is also to gain clarity on support provided and received. The overall process is expected to foster a sense of trust among the Parties and gain better understanding of the work undertaken by the Parties. The transparency framework, which is being operated nationally, holds the governments accountable to their citizens in the context of the sufficiency of efforts they are taking under Paris Agreement commitments. The citizens, thus, have an opportunity to know and understand what the government is doing. The framework also talks of “built-in flexibility” for developing countries signaling at some sort of differentiation, although the term is not defined or operationalised. One can expect more multilateral engagements among the Parties for sharing information on their respective actions and gain experiences and understanding on best practices, gaps and loopholes in the process of reporting and also on the progress of their actions. In contrast to global stocktake process, which is meant to assess collective progress of Parties, the transparency framework provides for national review of the actions undertaken by country. This framework, thus, will work like a pre-review mechanism, before the global stocktake, where countries check their individual progress on climate actions. The outcome of this can, subsequently, allow the governments to plan and ratchet up their efforts. According to the Paris Agreement, the outcome of the transparency mechanism would provide for inputs to the global stocktake that would take place in 2023. What does the Paris Agreement do not explain about transparency framework? The Agreement does not elaborate on the reporting structure: will it be nationally determined or whether it will be replaced by new reporting structures? 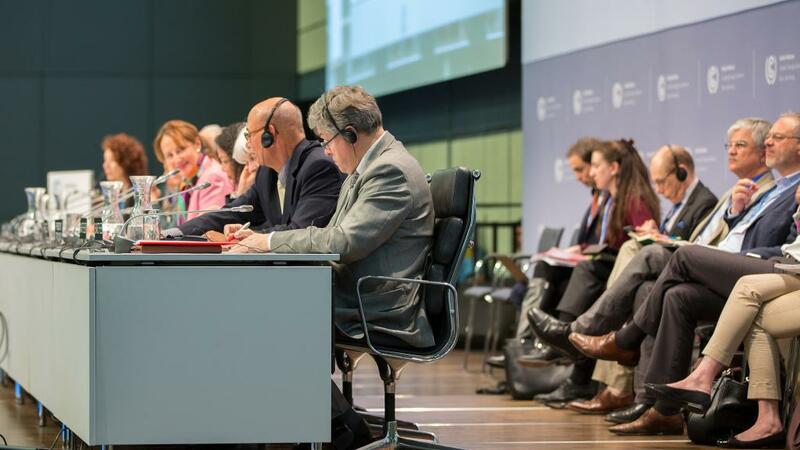 The Agreement, however, hints at building on existing reporting mechanisms and guidelines under the Kyoto Protocol and the UNFCCC. At the same time, ‘enhanced’ transparency framework points to transformed transparency framework but the transition is not defined. Developing countries that do not have much experience in reporting of actions and support would require constitution of new reporting structures. They are not capacitated for this and would require support from developed countries. For common transparency framework, the Parties have to agree on common baseline years for reporting, common reporting criteria and methods, which seem like a mammoth task. Although the transparency framework does talk of a built-in flexibility to developing countries (SIDS and LDCs), it does not operationalise what it actually means. It looks as if differentiation may be the key element of flexibility. But, the Parties have to agree on the scope and definition of flexibility on whether it is related to timeline, structure or outcome of reporting or all of them. Transparency framework is linked to global stocktake, accounting and compliance mechanisms that are all part of the Paris Agreement. What is not clear is how transparency would relate to other processes. There are currently gaps in reporting, especially on finance, even in developed countries such as Germany. These gaps need to be addressed. The issue of double counting also needs to be addressed. On November 9, at the informal consultations on matters related to transparency framework, developing countries, including India, China, G-77, least developed countries and Arab group put forth a recommendation that the process of reporting has to be nationally determined. It would require support from developed countries. They also highlighted the need of capacity building and guidelines related to common transparency framework. Their focus was on the need for enhanced action and on flexibility as mentioned in the Paris Agreement. The flexibility is understood largely in terms of differentiation by the developing countries that advocated bifurcated approach to reporting. They agreed on the importance of national communications but also referred to gaps in current reporting which needs to be addressed. The developed countries led by the EU and New Zealand focused on the importance of submissions of technical papers and reports prepared by the Parties. The developing countries said that they lacked capacity to do so. The discussions on transparency framework are convened under the Ad Hoc Working Group on Paris Agreement (APA).